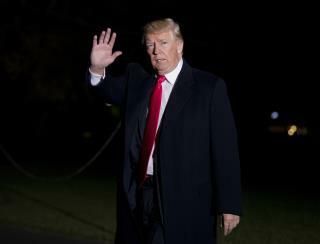 (Newser) – President Trump's morning consisted in part of a now familiar ritual: tweeting about the media, with the New York Times being Thursday's focus. "The Failing @nytimes, the pipe organ for the Democrat Party, has become a virtual lobbyist for them with regard to our massive Tax Cut Bill," he tweeted. "They are wrong so often that now I know we have a winner!" He also tweeted that the "failing" paper "has totally gone against the Social Media Guidelines that they installed to preserve some credibility after many of their biased reporters went Rogue!" The latter looks to be a reference to the Wednesday takeover of the paper's opinion section-related Twitter feed by the NYT editorial board, who tweeted out phone numbers for senators said to be undecided about the tax bill and used #thetaxbillhurts in linking to unfavorable opinion pieces about it, reports Politico. Don't be too hard on the NYT President Trump. If they go under what will people use in their cat litter box? The guy is so fkd up, he spends 100% of his time BSing.